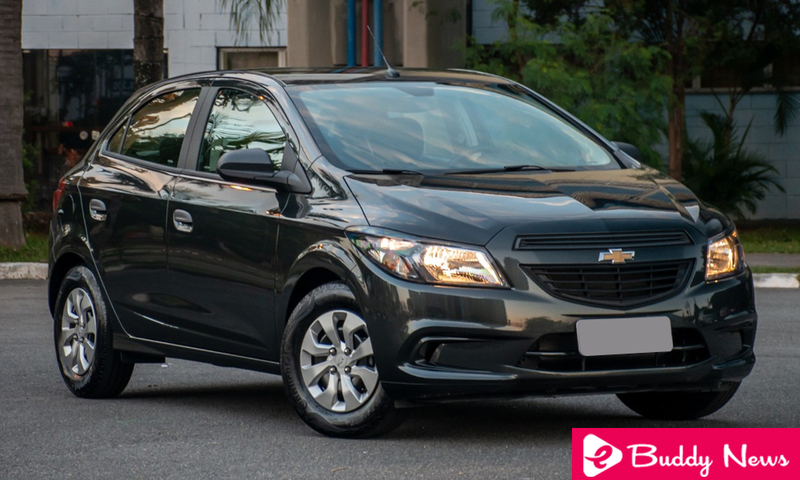 The Onix Joy 2019 was lightly renewed by Chevrolet with a clear goal: to continue helping the model to stay at the top of the list of best sellers in the market and now the company has released the Onix joy 2019 specs and pics. This is the position that Onix has occupied for almost 40 consecutive months, which represents a record for the automaker in our country. Even though it’s the only version on the line to keep the old look, the good cost-benefit of Onix Joy continues to make this version the second most sought after, just behind the LT.
And when we talk about the leadership of Onix as well as Onix Joy in the market, it has to be said that it has been overwhelming. Just to get an idea, in October 2018 the model had 22,324 units registered, against only 10,461 of the second place, the Ford Ka. This represents an even bigger difference in the year, where the Chevrolet model ranks first with 168,540 units sold, followed by Hyundai HB20 (88,116) and Ford Ka (85,918). All this also helps Chevrolet to remain the manufacturer with the largest market share, among automobiles, with 19.17% in October and 18.07% in the accumulated of the year. Looking at the overall scenario (automobiles and light commercials), the automaker’s share of the year is 17.17%, ahead of all competitors. But what makes the Onix Joy 2019 specs play such an important role in this model line? Is it worth investing in it, even with its different look from the rest of the line? Read this article to know more about the new Onix Joy 2019 Specs. The look of the Onix Joy 2019, as already said, continues the same as the line had when the model was launched in the market in 2012. Its front is bulky, which seeks to pass an air of robustness. The headlights are large and the grille is divided by a central strip that carries the Chevrolet emblem. From the ends of this grid come the creases that mark the hood and follow the roof of the car. The underside of the bumper has several cutouts, but do not wait for fog lights or any other component of the optical assembly. Passing on its side, the Onix Joy 2019 has a stronger crease that starts at the headlights and ends at the lanterns but disappears in the middle of the doors. Another crease appears at the bottom of the side, and the wheels are steel, with renewed hubcaps and 185/70 R14 tires. The door handles are not painted in body color, but the glazing area is good and allows the driver to have a good view. Finally, arriving at the rear, the Onix Joy has lanterns that invade lightly the side, but it does not have a more practical system of the opening of the trunk, something that can only be done when inserting the key. The most basic air of the Onix Joy 2019 continues inside, where you can not see the multimedia center, steering wheel controls or electric windows for all passengers. Even so, the model is again cost-effective. As usual, air conditioning, ABS brakes, and dual airbag are present. But in addition, the model also offers progressive electric steering, dashboard with digital speedometer and six-speed transmission. Another highlight is the driving position, slightly higher than its competitors, and the front seats, which involve more body than normally seen in popular cars. The space is also good, according to the standards of the category, and the trunk takes 289 liters, one of the largest among its competitors. The mechanical part of the Onix Joy 2019 remains the same as previously offered. The engine is 1.0 flex, with 78/80 hp and 9.5 / 9.8 kgfm of torque, with a six-speed manual gearbox. The Onix Joy 2019 is currently sold for $ 44,990, but this price may rise by $ 600 or $ 1,350, depending on the color chosen. The Onix Joy 2019 was launched by Chevrolet at the end of August of that year, with subtle changes that promised to renew some important aspects. Among the main ones, the model received a new finish in the headlights and lanterns. At the front, the set received a black mask and some chrome elements, while in the back the novelties include a smoky look that reminds the other versions of the line, updated with the new look. On the side of Onix Joy 2019, the brand updated the design of the caps and put new stickers of a column, which took a little air of “car peeled” that the version always had. Inside, Chevrolet added a new seat cover (with stitched seam), a new pocketknife key in the same standard as other branded passenger cars, and a new audio system setup. The latter item includes front speakers, ceiling antenna and wiring with Plug & Play connectors that can be used to install the new Smart Media Joy multimedia center. It adds a touchscreen, digital TV, mirroring for Android and IOS smartphones and still input for the rear camera. Available Colors: Black Gold Black (Metallic, No Extra Charge); White Summit (Solid – $ 600); Graphite Gray, Silver Switchblade and Red Chili (Metallic – $ 1,350). Chevrolet Onix Joy 2019 – 1.0-liter 78/80 hp engine and 9.5 / 9.8 kgfm of torque, with a six-speed manual transmission. SERIES ITEMS: Two-tone interior trim “Jet Black” and “Ice Blue”, Black column sticker (except for vehicles in Black Gold Black), Dual airbag, Anti-theft alarm, Antenna in the roof, Air conditioning, Beeper for driver’s seatbelt, Folding rear bench, Fabric seats, Brake Light, Folding knife, Driver’s seat belts with height adjustment, Rear and center seatbelts 3 Rear head restraint for 3 passengers, Front head restraint with height adjustment, Headlights with black inner surface (front and rear), Rear head restraint, Rear head restraint black), ventilated disc brakes at the front and the drum at the rear,ISOFIX and TOP TETHER child seat anchorage hooks, Gear shift indicator, Dimmable lighted lanterns, Rear window wiper and washer, Central reading lights, Black outer door handles, Gear lever handle with color details black “Jet Black”, Tire pressure monitoring, Instrument panel with tachometer, Speedometer with digital display, partial pedometer and oil level marker, Color bumpers in the vehicle, Front compartment in the front doors with 14 “wheel rims with integral hubs, ABS brake system and brake distribution system (” EBD “), Engine immobilizer system, Passenger shade with mirror, Power take off 12V, Six-speed manual transmission,Fuel cap electric lock, Electric door lock, Electric glass in the front doors. The Onix Joy 2019 specs have the 1.0 SPE / 4 ECO Engine, with a transverse layout, 4-cylinder in-line, 8-valve, multipoint injection and simple valve control on the head. The gearbox is manual and has six gears, with shift indicator and tire pressure monitoring (TPMS) for maximum energy efficiency. This set delivers 78 hp (gasoline) and 80 hp (ethanol) at 6,400 rpm, with a torque of 9.5 kgfm (gasoline) and 9.8 kgfm (ethanol) at 5,200 rpm. While being within what the competition offers, the number of entry models with 3-cylinder engine grows every day. This is one of the downsides of the Chevrolet set used in the Onix Joy 2019, which is less efficient compared to those specific competitors. The performance of the Onix Joy 2019 is lower than some of its main competitors, such as the Hyundai HB20, which is lighter and features a more modern engine. According to official data, the Chevrolet entry model accelerates from 0 to 100 km / h in 13.4 seconds, reaching a top speed of 167 km / h.
When we talk about its consumption, it is important to highlight the addition of the six-speed gearbox. With that, and according to data provided by Chevrolet itself, the Onix Joy 2019 specs have good numbers. Its consumption with gasoline is in the house of 12.9 km / l in the city and 15.3 km / l in the highway. With ethanol, consumption is 9.1 km / l in the urban segment and 10.8 km / l in the road segments. Another important and positive information to be highlighted is the autonomy of the Onix Joy 2019 with gasoline, which is in the house of 826 km. Revisions scheduled by Chevrolet for the Onix Joy 2019 are made every 10,000 km or 12 months, whichever comes first. If followed, they result in a 3-year warranty.